上高地便り 母の日　Happy Mother`s Day! It is on Mother`s Day today in Japan. In Japan, sending flowers of carnation is most popular to cerebrate on Mother`s Day. 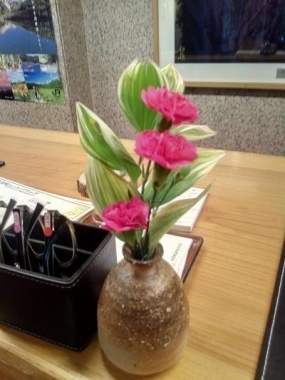 That is why the flower has been displayed at reception desk of our hotel. 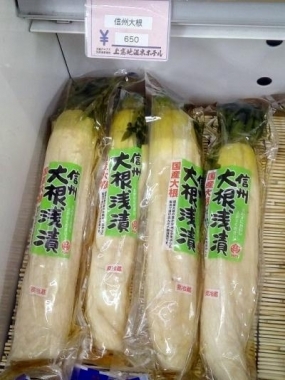 Personally I sent my mother pickled Japanese radish, daikon, as the gift. The pickles is sold at the gift shop of our hotel. Also you can EAT in dinner when you stay in the hotel. Hopefully you can have the opportunity to try it. Well, let me celebrate mothers in the world. Thank you so much for what you have done for your children and other people in the world.